Tax reform: the process of changing the way taxes are collected or managed by the government. First, tax reform can include reducing the level of taxation of all people by the government, making the tax system more progressive or less progressive. Secondly, tax reform simplifies the tax system by making the system more understandable or more accountable. 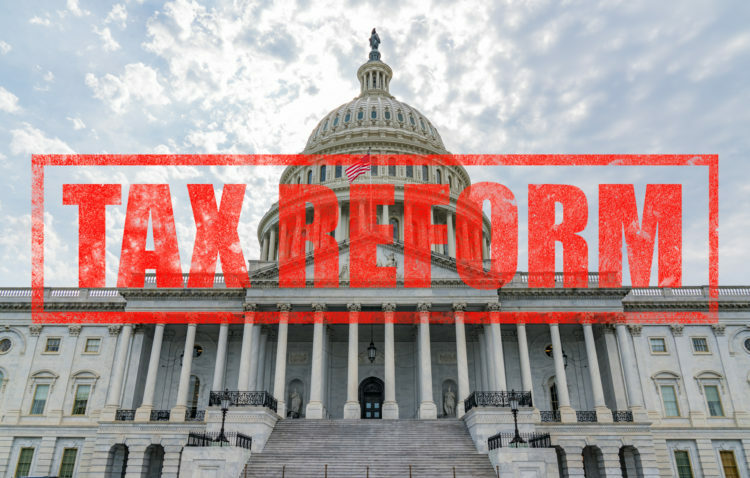 On Wednesday, December 20, 2017, Congress approved a tax bill which will affect most employees’ paychecks and the way employers implement these new tax laws. Employers were waiting for guidance from the Internal Revenue Service on steps they need to take. The wait is now over. On January 11, 2018, Notice 1036 providing the 2018 Federal Income Tax Withholding Tables were released by the IRS. First, notice 1036 updates income-tax withholding tables for 2018. Secondly, notice 1036 reflects the changes made by the tax reform legislation and shows the new rates employers are to use in 2018. Employers should use and implement these tables as soon as possible, but not later than February 15. 2018. These new withholding tables reflect the changes in tax rates and tax brackets and reflect the standard deduction and repeal of personal exemptions. They inform business owners and employers how to make changes in their payroll systems and also help business owners and employers how to work with existing W-4s. It helps individuals learn how the tax bill will affect them and the steps needed to take to comply with the law. What Changes Will Employees See With the New Tax Reform? Soon, employees will begin to see increases in their paychecks by February. The quicker employers implement the new tables and how often their employees are paid will determine how quickly employees see increases. First and foremost, the tables reflect an increase in standard deductions, repeal of personal exemptions and changes in tax rates and brackets. Secondly, they will produce the correct amount of tax withholding. Finally, individuals can use the revised withholding tax calculator to adjust their withholdings. The new tables work with the W-4 forms employees have already filed with their employers. Fortunately, current forms do not need to be changed at this time by existing employee/employers. The IRS is working on revising these forms to reflect changes in available deductions. Other changes will include increases in child tax credits, new dependent care and the repeal of dependent exemptions. In 2018, if there is a change in personal circumstances or an employee is starting a new job, the employee and employer should use the new W-4 form. In 2019, all employees will need to file new W-4s with updated information. This new filing is due to the IRS anticipating making further changes involving withholdings. Employees are encouraged to review the new withholding calculator and check their current withholdings. Our services include personal and business bookkeeping, Quickbooks products and training. Let our professional staff become your professional staff! Being your personal staff enables us to manage the process more efficiently and often helps us see potential problems that might slip by others. Call us at 561-969-7088 or visit our website. © 2019 J. Zollo & Associates, Inc.